A focus on opulence and drama. 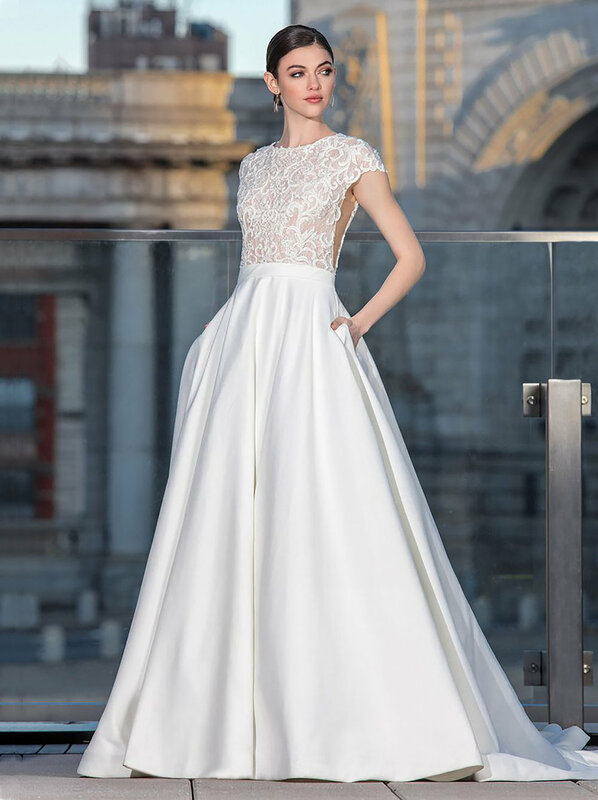 Inspired by the intersection where fashion trends and the needs of real brides meet, Justin Alexander designs gowns in stunning silhouettes with adorned necklines. For Spring 2019, the collection explores the juxtaposition between modernity and opulence. Clean lines with unexpected draping and subtle transparent details are chic and minimalist, while geometric and lavish deco beading are amplified. From clean crepes to intricate beading, this collection gives brides the option to be as simple or as dramatic as they want. Justin Alexander first debuted in 1946 as T&G Bridal. Since it’s humble roots, Justin Alexander has become a contemporary brand recognized for it’s vintage inspiration and progressive details. With exceptional quality and elegant styling, the collection has gained recognition and has been worn by brides around the globe. Book your appointment today to experience the ultimate in bridal luxury.